I have always loved pickles, but never realized how easy it was to make my own until last year. They only require a few ingredients, most of which are pantry staples for many of us. Normally, I use either English cucumbers or regular old cucumbers. 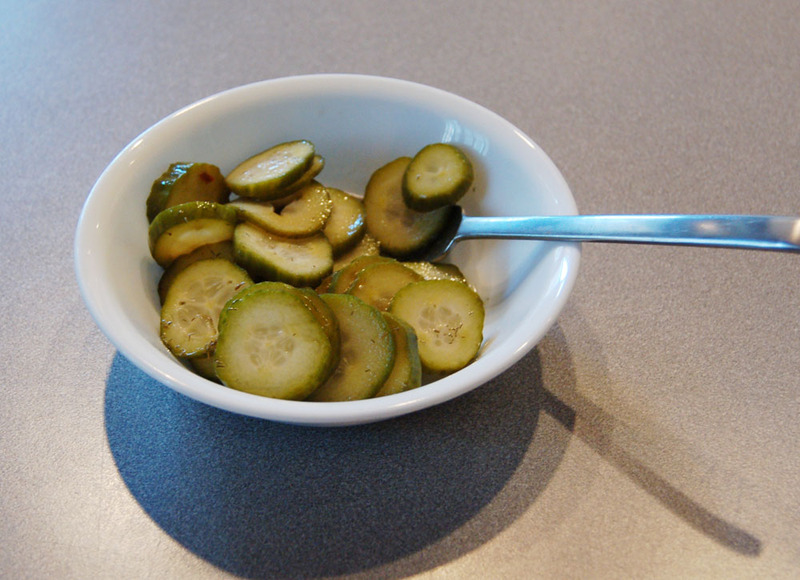 These little pickling cucumbers were on sale, so I decided to give them a try. Holy. Cow. They produced the best pickles I have ever made. The texture is just perfectly crunchy and...pickle-like. Not sure if I can go back to regular old cucumbers. 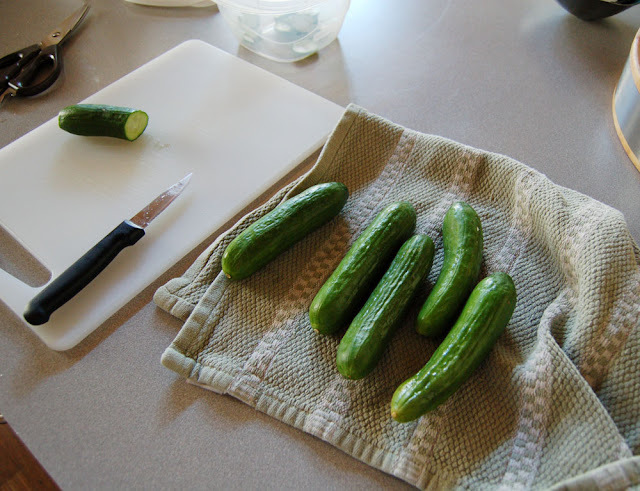 Slice cucumbers into 1/4" rounds. Cut garlic cloves into quarters, and smash slightly. Place cucumbers and garlic into a bowl. Heat vinegar, water, sugar, salt, dill, pepper flakes, peppercorns, and coriander seeds in a saucepan until sugar and salt are dissolved. Pour over cucumbers and garlic, and let marinate in fridge overnight. Enjoy!